Coaching is partnering with clients in a thought-provoking way to jointly create a process that inspires and motivates them to maximize their personal and professional potential. Heart of Well-Being acknowledges the whole person and situation and focuses on your developing your life of well-being. How can coaching with Heart of Well-Being help me? Life is challenging and there are many demands on adults, especially those in healthcare. Dina is a collaborative ally who gets to know you. She integrates positive psychology tools and provides practical strategies to help clients. Over the course of time, clients regain their passion, become more energized and resilient, and live with greater ease. Who is Heart of Well-Being coaching for? Who want to have more control, as well as more flow in their lives. Who want to meet their life goals and may need a little more motivation, courage, personalized planning and accountability. Who want to live a life of greater ease, satisfaction and meaning. For organizations to enhance productivity, engagement and resilience of employees and the organization’s culture. How is coaching with Heart of Well-Being done? Individual coaching with Heart of Well Being is primarily done over the phone or via the internet. Though it may be strange at first to only meet on the phone, this has worked well for those I work with. Each coaching session is customized specifically for your unique situation and what you want to achieve. Group coaching is done over the internet and with organizations who have contracted for me to be present. What is the time frame for coaching? After an initial free consultation, there is a 4 session minimum commitment to allow you to benefit from the process and integrate changes. Often the initial calls are weekly and over time they move to every other week and beyond. The call schedule is based on your needs and Dina’s professional judgment. While changes may begin as soon as the first session, it often takes 6 months to a year to make the kinds of sustainable changes my clients are looking for. Sessions are between 40 and 50 minutes with a focus on what is most important to you at the time, while keeping your overall goals in mind. Dina is a collaborative ally with her clients. Together, we will explore what your life of well-being looks like and find out what brings you passion and energy and fosters your ability to make the impact you desire. A compassionate atmosphere provides an opportunity to explore what you are experiencing and what you want. There is a focus on utilizing strengths and what is working, as well as finding new strategies that work for you and using these to move you toward greater vitality. A variety of concepts, models and principles drawn from the behavioral sciences, literature, spiritual traditions and/or the arts and humanities, may be incorporated into the coaching conversation. These are used to increase self-awareness and awareness of others, foster shifts in perspective, promote fresh insights, and provide new frameworks for looking at opportunities and challenges. These questions, tools and techniques are used to energize and motivate clients. The initial meeting, usually over the phone or internet, is a free consultation which allows us to meet one another, identify what you are looking for and begin to design how we will work together. During each session, time is set aside to review what is going on with you right now, and address the topics and outcomes of your interest. 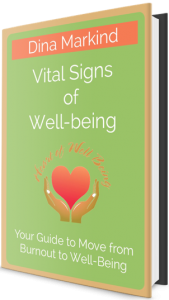 The focus is on creating awareness and coming up with strategies that you can use now that support you in creating and maintaining your life of well-being. Information will be held as confidential unless stated otherwise in writing, except as required by law. Certain topics may be anonymously and hypothetically shared with coaching professionals for training OR consultation purposes. Are you willing to make changes in your life? Are you ready to shift your focus to your strengths and what is meaningful to you? Are you prepared to work towards your goals? Are you enthusiastic about making progress and letting go of whatever is holding you back? Do you feel collaboration, accountability and new perspectives will help you become unstuck? If you answered YES to any of the above questions then Coaching is right for you! For those who are experiencing deep depression, are addicted to alcohol, a substance or behavior, or are in an abusive situation, whether physical or emotional, coaching is recommended as an additional support for moving forward in your life. Coaching with Heart of Well Being cannot be the exclusive way for dealing with these issues.